Whether your New Year’s resolution is to save money, get healthier, or spend more time with your family, your public library can help you achieve it. Your local library likely offers far more than just self-help books to assist you in learning new skills and applying them. Here are just a few interesting—and perhaps unconventional—public library collections funded through the IMLS Grants to States program that might help you check a resolution or two off your list. In a pleasant twist to a traditional lending program, California’s Yorba Linda Public Library’s music lending library offers community members the ability to check out sheet music compilation books, acoustic guitars, and ukuleles, as well as other musical materials and resources. 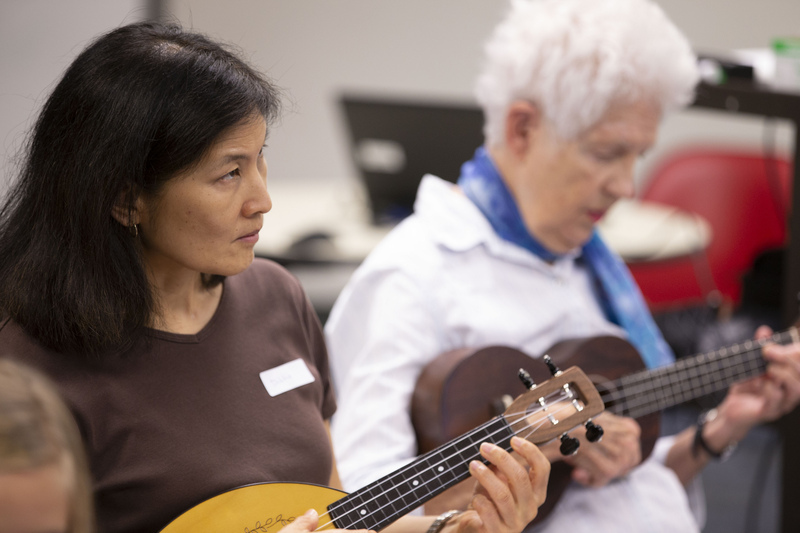 Not only do community members have a chance to learn to play these instruments, the library supplements their lending collection with music-themed events, such as performances. Learn more about this project. In Pennsylvania, the Lancaster Public Library branches and bookmobiles circulate STEM (Science, Technology, Engineering, & Math) Maker Passes, which give community members the opportunity to use the local makerspace, make717 Innovation Center. Kids, high school students, adults of all income levels have access to a focused environment where they can learn new and valuable skills. Libraries hold trainings and workshops where attendees learn skills and gain hands-on experience that will help them secure jobs in a modern workforce. Learn more about the maker passes program. San Diego Central Library’s Bike Kitchen provides library users with access to shop-grade bicycle tools and professional assistance. The “kitchen” also offers hands-on classes and educational resources to build mechanical literacy and self-sufficiency in the community. The library started the program by partnering with a local bicycle shop to purchase a bicycle toolset and hosting hands-on instructional courses, which covered front to back to bicycle overhaul. The program is still going strong, and patrons can currently access the Bike Kitchen every 1st and 3rd Saturday via their Walk-Up Service. The Bike Kitchen also produced bike repair instructional videos, which are posted on the library’s website. Learn more about the Bike Kitchen. New technology is rapidly progressing, rendering older technology like VHS tapes obsolete. Instead of letting old tech items pile up at home, community members in Chester County, Pennsylvania, can save some space by learning to back up their VHS tapes before converting them to DVDs at the Digital Media Lab/Makerspace. They also hold classes where patrons can learn to digitize photos. Special equipment is available to community members, who can reserve the studio equipment ahead of time. Learn more about the Digital Media Lab. Texas’s El Paso Public Library created the Sow. Grow. Reap. Eat. program to empower the community to grow their own food. Organizers hoped this would promote healthy lifestyles and help conserve the region’s biodiversity. 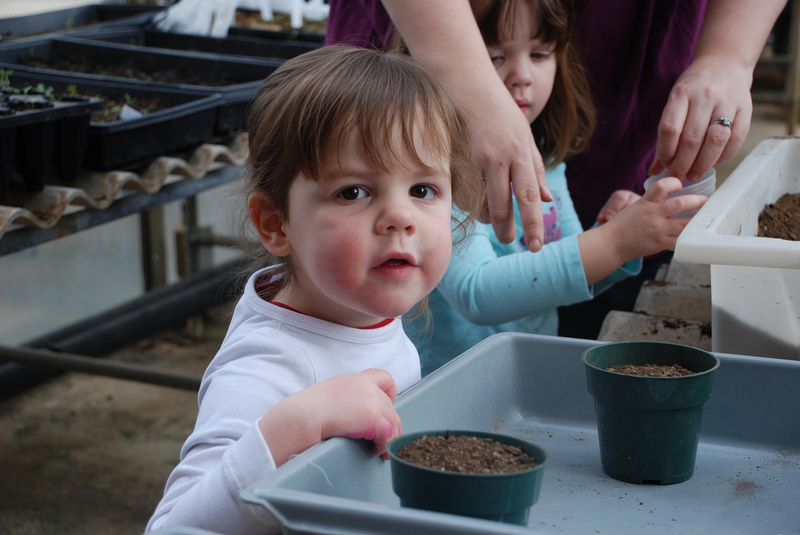 The library created seed libraries at each of its 13 locations and supplemented them with instructional programs, including cooking demonstrations. The library partnered with two city departments and an education agency to provide this service to local community members. Learn more about the seed library. Arizona’s Avondale Public Library has a whole host of special lending items that focus on health and wellness. This new special collection is for all ages and is particularly geared towards families who want to explore the outdoors together. Items in this “Beyond Books” collection include telescopes, animal anatomy kits for STEM learning, outdoor exploration kits, tennis racquets, golf clubs, park play kits, indoor parachute, metal detector, and a geocaching kit. Lending these items helps encourage exercise, outdoor participation, and quality family time. Learn more about the lending program. Indiana’s Kokomo-Howard County Public Library provides 24 WiFi hotspots and 1 WiFi Hotspot Projector—all with access to unlimited data—for patrons to check out. This is an excellent option for low-income families or patrons who live in underserved rural areas to gain access to reliable, fast internet service. The devices can be checked out for a week at a time. Learn more about the wifi hotspot program. Wisconsin’s Grantsburg Public Library created family friendly kits that center around engineering, technology, and creative expression. Each kit comes in a portable container, so families can check out the projects and complete them at home together. Some kits contain building toys, like Legos, K’nex and Snap Circuits. Other kits feature simple sewing or art projects. There is even a videography kit, complete with a green screen and an iPad for filming. Both children and adults report enjoying working on the projects together and learning new skills. Learn more about the kits. Whatever your New Year’s resolutions are, your local public library may have an innovative program to help you achieve your goals. Check with your local library to find out what’s available in your own community. You might be surprised at all the resources your public library has to offer!